The Rockets are creating a nation of boys and girls who love to read, and we're doing it one book and one child at a time. 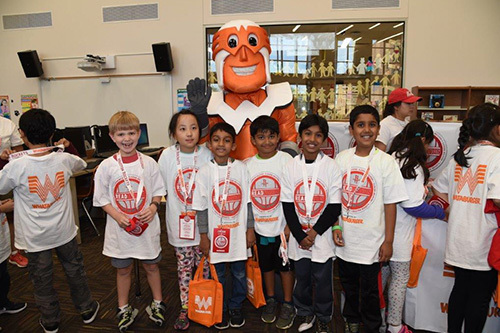 Rockets Read Nation events are fun, interactive and entertaining reading activities at schools and charities, where each child receives age appropriate books of their own to help fuel their love of reading and create their own library. 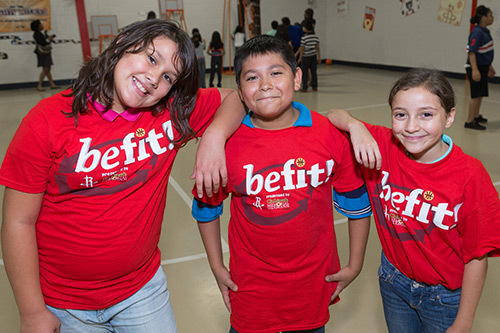 The Be Fit Challenge is implemented in Houston schools and provides children with nutrition and activity tips. They also participate in fun and educational fitness and nutrition activities to win contest prizes. Additionally, one school will win an exciting Be Fit Rally, starring Rockets entertainment and Memorial Hermann fitness and nutrition experts. 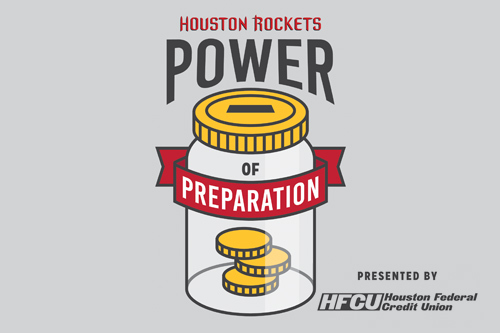 The Houston Federal Credit Union and the Houston Rockets want the students of today to be prepared for tomorrow and their futures. The Power of Preparation program promotes financial literacy and educates local middle school youth on financial responsibility. It will also give them the tips and tools to understanding and learning healthy financial skills. 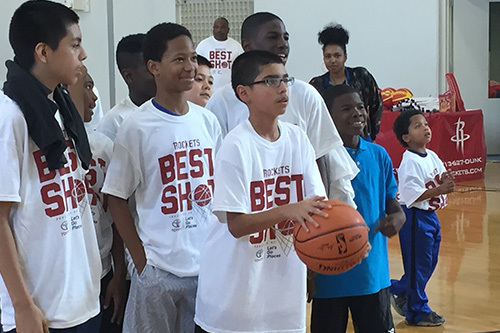 Best Shot is a 10-week after-school program for members of the Boys & Girls Clubs of Greater Houston.Best Shot provides students with academic tutoring, cultural awareness workshops and drug prevention education. Using basketball as an incentive, participants must take part in weekly educational activities and tutorial sessions before taking part in league games. The Jr. 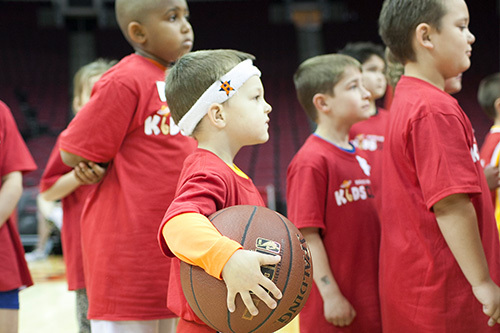 Rockets program's goal is to increase the Houston Rockets presence with local youth basketball leagues. The program aims to develop a life-long passion for the game of basketball, provide support to the leagues and add programs to make the game fun and rewarding for everyone. Each participating league will include a Houston Rockets game ticket into their league registration. Jr. Rockets/participating league jersey will also be included in the registration process. This has become a holiday tradition bringing together Rockets players, their families and members of the business team, as they host a series of events for members of the community who are less fortunate. Each year, hundreds of children and their families are the recipients of private parties, gifts and surprise visits by Houston Rockets players. Each month throughout the season, the Rockets highlight a different community partner to raise awareness for the program and services that they provide. Charity of the Month recipients are featured on Rockets.com and at the Rockets Give Back table during home games. In addition, charities receive funds that are raised on the concourse through auctions, raffles and fan donations. Over $70,000 have been raised on the behalf of the Charity of the Month partners. 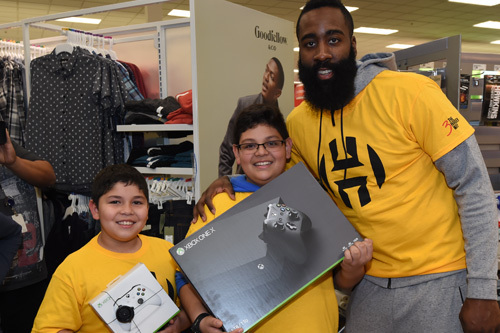 Houston Rockets players are an integral part of our community outreach programs. 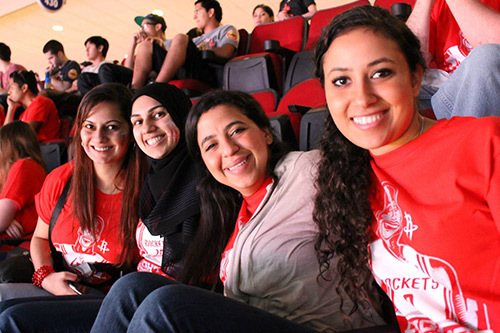 The Rockets for Youth Ticket program is just one way in which they give back. Each year, many of our players purchase season tickets on behalf of Houston area youth, who would otherwise not be able to attend a game. Throughout the season, tickets are donated to non-profit organizations who serve disadvantaged youth and families.